Heraclius’ family fall out with each other over the succession. The crown eventually comes to rest on the head of the fourteen year old Constans II. He is left with an Empire under attack in Egypt, Armenia and the Mediterranean. First of all, thanks a lot for another great episode 🙂 Question for the end of the century: Could you please give us a description of the Roman (Byzantine) navy of the 7th century? How was it different from the “ancient” Roman navy? I assume the secret weapon of the Byzantine fleet is going to appear in the narrative soon. Thanks again for the incredible work. 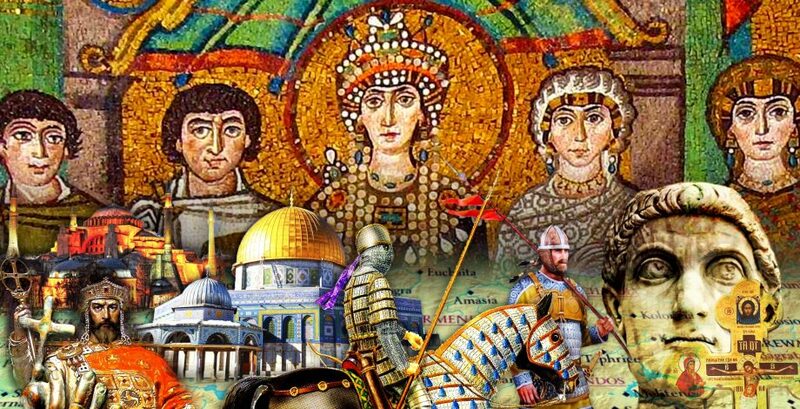 Question: At what point can we estimate that the Muslim armies began to outnumber the Byzantine armies? Or did they have a numerical superiority from the start?